Pediatric clavicle brace features open cell foam padding. Maintains alignment for correct healing. The Wheaton Brace Clavicle Supportt provides stabilization and support for children who've recently suffered a clavicle fracture. 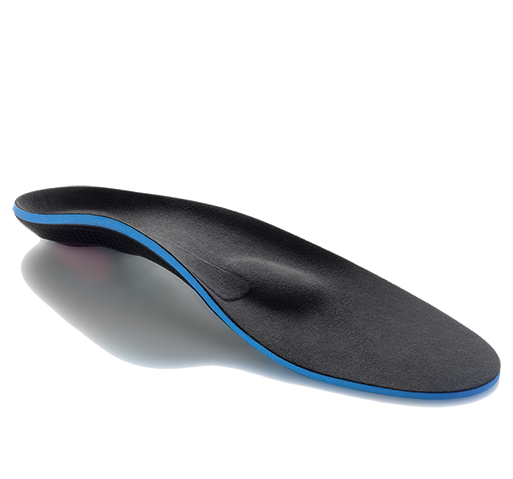 It provides both security and padded comfort for fractures to correctly heal. The strap is constructed with a breathable open-cell foam for the child's comfort and is fastened with a hook-and-loop closure for easy adjusting. The Wheaton clavicle brace is specifically design to fit children and is manufactured here in the United States for outstanding quality control. Specifically designed for children's size bodies. Open cell foam with a cotton covering for comfort. Easy to use hook and loop fasteners for easy adjustability. Available in five sizes to fit children of all different ages - see sizing chart tab. The Wheaton Brace Pediatric Clavicle Splint is well suited for the treatment of clavicle fractures in children. Open cell foam material with a cotton cover on the outside. My daughter broke her collar bone a few weeks ago, and we had a hard time finding a brace to fit her. This product is very good. Toddler is on Week 3 and doing well with this brace. Nice alternative to the vinyl sling the ER gave us. 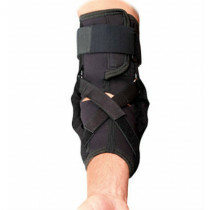 Brace is padded and gives added protection for any minor bumps. Arms and hands are freed up which my toddler likes compared to the sling. Straps were a bit long, but not really an issue. Would not recommend getting wet. We switched to the vinyl sling for wading pool and bathing. Working well for toddler on week 3. Nice alternative to the vinyl sling the ER gave us. There is padding on the straps giving added protection to the injury incase of minor bumps. Hands and arms are also freed up for use compared to sling. Daughter had occasional complaints about her "arm pits" hurting her. We would switch to the vinyl sling when she did and use the vinyl sling for wading pool and bathing. I would not recommend using the padded brace in the water. That being said I am very happy with the purchase and glad that I bought it for my toddler. 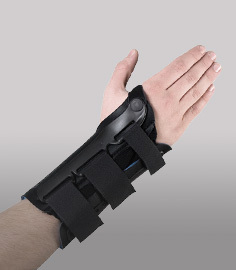 I paid for 2 day shipping which was as much as the brace, but something like this you kind of need right away. My dog pushed my two year old son down a flight of stairs, and he broke his clavicle from the tumble. We rushed him over to the hospital and the doctor recommended we try this brace. DME was so nice and they had the brace next day aired to us! My son (and our dog) both stay away from the stairs now. This brace + a baby gate = a safer recovery for Liam. My two year old broke his collarbone when he fell on the floor a few days ago. I was really desperate to help the little guy out. So we rushed over to our family doctors office for an examination. The doctor reffered us to this company for a clavicle splint. After doing a little research I found the best splint for my son was this wheaton clavicle splint. I placed the order and received my sons splint the very next day. I love that its quick and easy to put on the little guy... It's also very comfortable for all day use as well. I'd recommend this product again.  Wheaton Brace believes that the best way for you to select and purchase an Wheaton Brace product is at one of its authorized online stores of which DME-Direct is one. Only in these stores can you be sure to find the latest Wheaton Brace collection and ensure you are getting a genuine Wheaton Brace product with the manufacturer's full warranty. Wheaton Brace therefore recommends that you do not purchase an Wheaton Brace item through any website, unless it is an authorized Wheaton Brace dealer. We are a Wheaton Brace Authorized Dealer and can assure you a safe and pleasant shopping experience here at our website as if you were at our wholesale distribution premises in Valencia, California. Some non-authorized sites sell counterfeit, second-hand merchandise, and/or products containing old fabrics, glues, and resins that do not perform as intended, and are therefore, not eligible for care under the Wheaton Brace warranty. Others do not offer the original Wheaton Brace warranty, nor do they offer any after-sales service of any kind. Wheaton Brace takes great care to ensure that all Wheaton Brace authorized dealers offer you the very best products and service. Please take advantage of the peace of mind that only they can offer to Wheaton Brace purchasers.